Harry Potter Part 3, The Creatures. 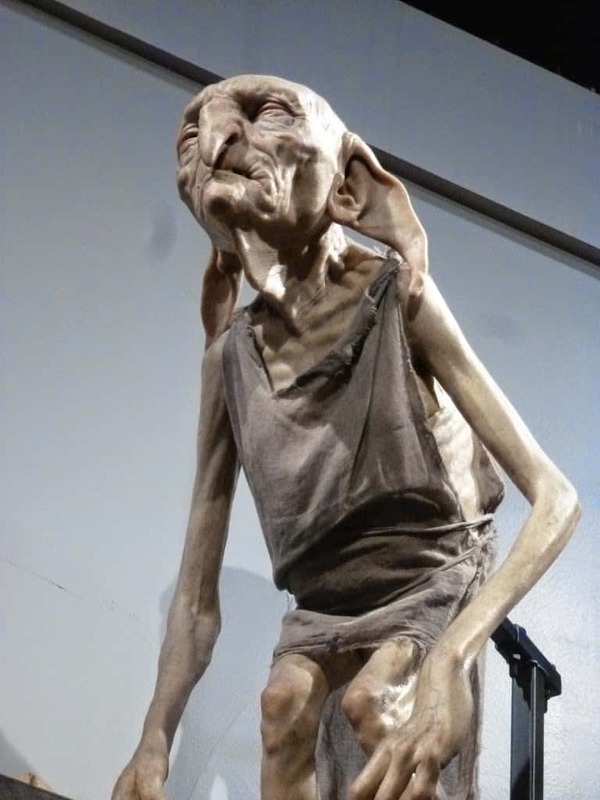 For part 3 of my Harry Potter tour, I wanted to share some pictures of the creatures. I must say this room was fantastic, jammed pack full, and showed some real behind the scenes goodies; it gave away secrets of how things were done. I won’t ruin it and share those secrets; you need to visit to feel the full magic. But the pictures are great to see never the less. The model of Griphook was so realistic, there were many Goblin heads on show, all equally realistic. I felt like I was being watched when I looked at it. Like he would blink or speak at any time. 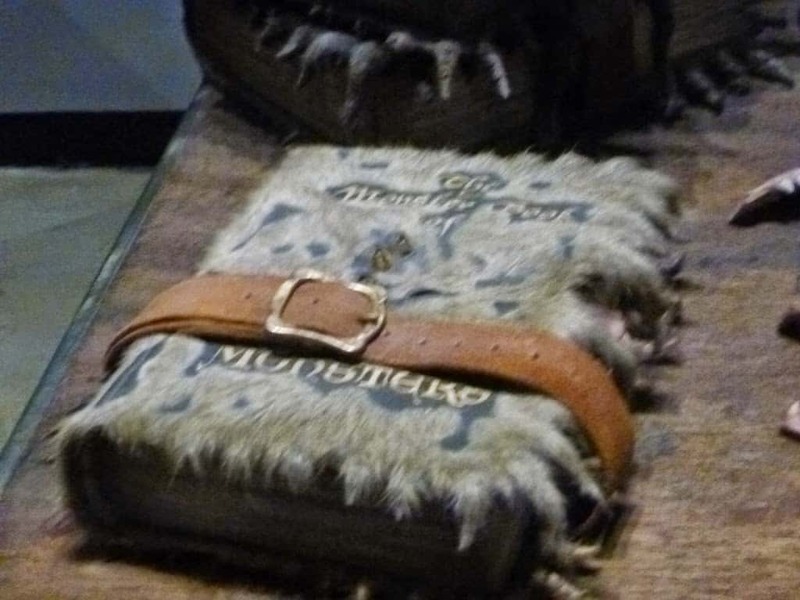 The Monster Book of Monsters was on show to see, and had a little surprise in store. 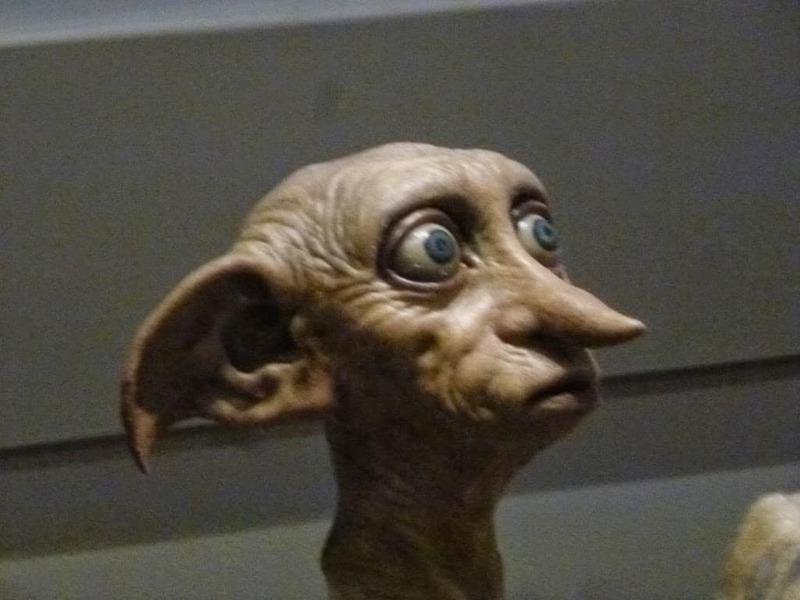 Aahh Dobby, he has to be my favourite creature in The film, I would love a house elf. Wouldn’t that be wonderful having a Dobby. I cried when he was killed in the film. I know mad, but I just loved him. 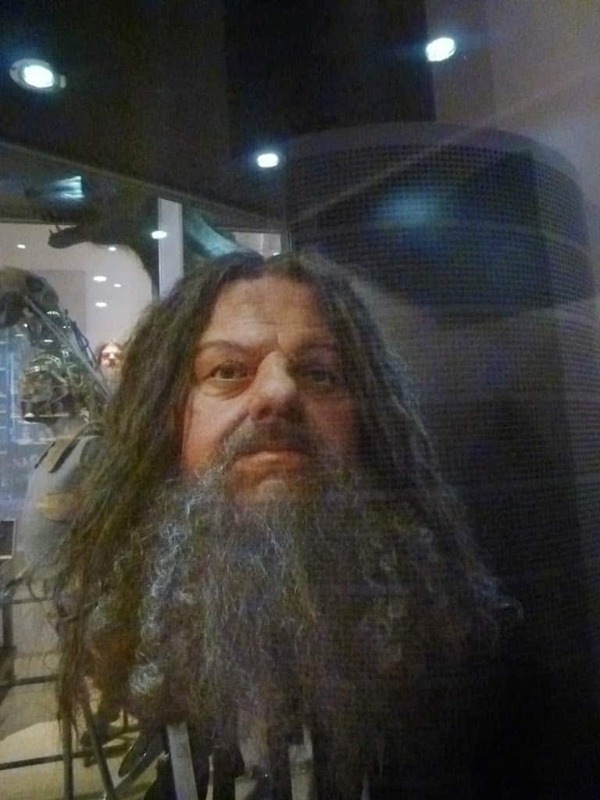 This Hagrid head is amazing so realistic, again you get to find out all the secrets and trickery behind Hagrid and it realy is quite amazing how it is all done. 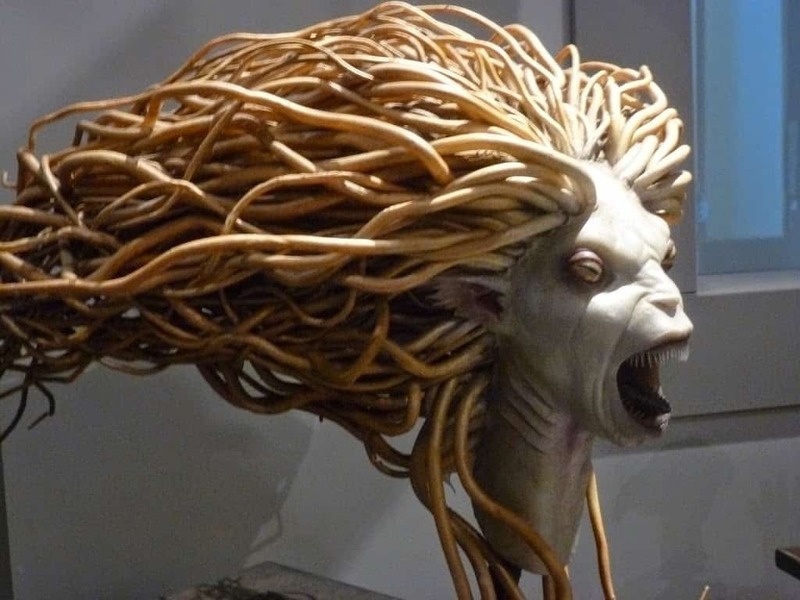 Here is one of the Merfolk out of the Goblet of Fire, aren’t they scary looking. The Work that must go into these models is amazing. 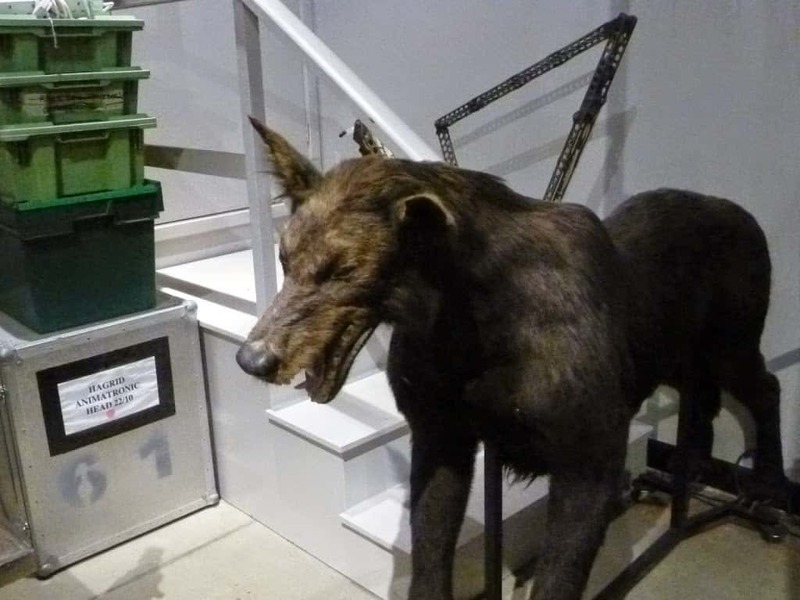 Sirius Blacks Animagus form of the huge dog, in The Prisoner of Azkaban. Sirius was my favourite character in the film,books. I love Garry Oldman and he was amazing as Sirius. Nearly headless Nick, was so realistic. Creacher the Horrible Black family elf. 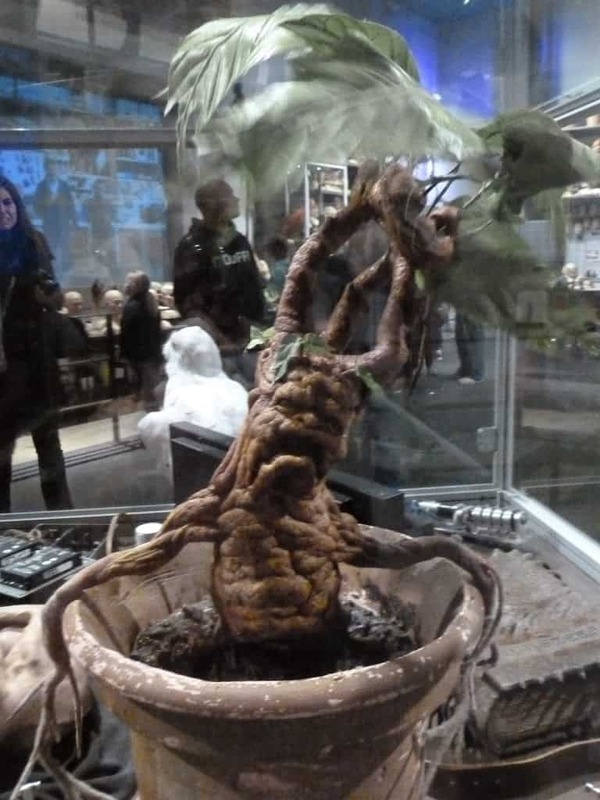 The Mandrake plant, weird it’s so ugly yet looks kind of cute. 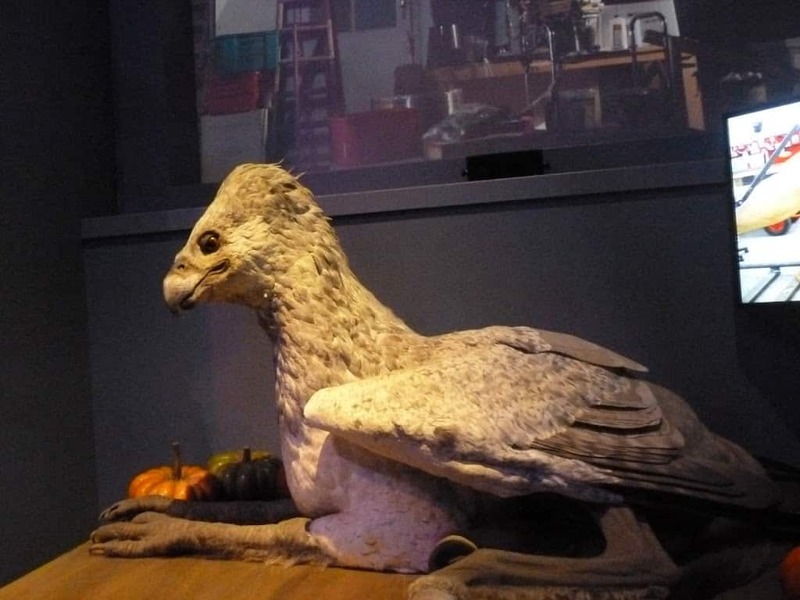 Buckbeak the Hippogriff. Joe loves Buckbeak so was thrilled to see him. Every feather was perfect on him, it must have taken so long to create him. It is amazing the detail and work that went into all of these creatures. And what I have shown isn’t the half of it, just my favorites. It’s astonishing, when you watch the film you believe the acting and get enthralled in the story but don’t give a thought to the incredible work of all extremely talented people behind the scenes. Sculptors, costume designers set designers, to name a few. Visiting the Studios enables you to see the tremendous amount of work, skill and talent that has gone on behind the scenes.